Álvaro Odriozola is set for debut this Saturday (20:45, local time) against Espanyol at Santiago Bernabéu. 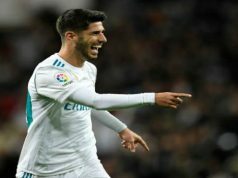 The basque defender can finally start a game because Daniel Carvajal will miss the match after not being able to train on Friday. Julen Lopetegui confirmed that Carvajal has “some small problems”, so he will have some rest and the idea is to have him back for Seville, the next clash on Wednesday. 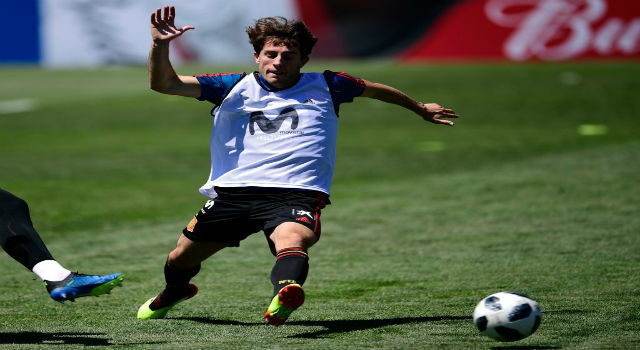 Julen Lopetegui has not put in the pitch the new signings of the summer. Only Thibaut Courtois has been protagonist in this start of the season. Mariano Díaz made his debut on Wednesday against Roma, Odriozola has not played a minute, whereas Vinicius is playing with Castilla. Fede Valverde is always out of the list. This weekend there will be many changes in the line-up. Odriozola will start for sure, but there will be more surprises, because Dani Ceballos should start and also Mariano. Besides, Nacho can give some rest to Sergio Ramos or Raphael Varane. Lucas Vázquez, who hasn’t played many minutes in the start of the season, could have also his opportunity. 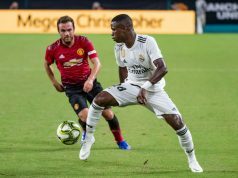 Lopetegui has also included Vinicius in the list. The Brazilian player is performing very well with Castilla -he scored a free kick last weekend- and could be on the bench this weekend. However, the manager has shortlisted 20 players, so on Saturday he will decide which players won’t be in the final list. Another important piece of news will be in the goalkeeper position. Courtois seemed to be the goalkeeper chosen by the coach, but Keylor Navas played in the Champions League and he did a great job. The Costa Rican showed his skills and told everybody that he is able to fight for his position. This is an easy choice for Lopetegui because both are showing a great level. Previous articleMatch Report Real Madrid 3 - AS Roma 0: Modric Lead a Great Debut in Europe.